SEATTLE, Wash. (March 8, 2018) – Reuben’s Brews has named the 2018 winner of its second annual “Hop Idol” Homebrew Contest: Alex Kuyper. Beating out 116 total entries, Kuyper’s “Dwayne IPA” took home the title. This hazy Northeast style IPA will now be brewed at Reuben’s Brews in Seattle and distributed in Pacific Northwest region. Hop Idol is a Beer Judge Certification Program (BJCP) certified homebrew competition. All entries were blind tasted and scored against the BJCP style guidelines, focusing on hoppy styles. The judging panel included BJCP-certified beer judges, Reuben’s team members, some of Reuben’s wholesale customers and representatives from Reuben’s distributors. In addition to brewing “Dwayne IPA” with the Reuben’s team at their brewery in Seattle’s Ballard neighborhood, Alex’s beer will be distributed throughout the Northwest and will be entered in the Washington Beer Awards Pro-Am competition as well as the Great American Beer Festival. The distributed brew will available on tap in the Reuben’s taproom and in bottles starting in May. After the birth of their first child Reuben, Adam and Grace embarked on a mission to brew bloody good beer. Originally from the UK, Adam turned a passionate hobby into a family-run brewery crafting nationally and internationally recognized beers in a wide variety of styles. Since opening in 2012, Reuben’s has won awards for its beers around the world including at the Great American Beer Festival, the World Beer Cup, the US Open and was named Mid-Sized Brewery of the Year at the 2015 Washington Beer Awards. Find Reuben’s Brews in the Pacific Northwest and at its taproom located at 5010 14th Ave NW in Ballard, open 7 days a week. For more information, visit www.reubensbrews.com or follow on Facebook, Twitter and Instagram (@reubensbrews). Congratulations to Alex Kuyper! I’ve entered a few homebrew competitions myself and even won a few awards, but I’ve never yet had the opportunity to have one of my beers scaled up and brewed on a professional system. Not to mention Alex’s beer will now also be entered into the Washington Beer Awards Pro-Am and the Great American Beer Festival. What an honor. 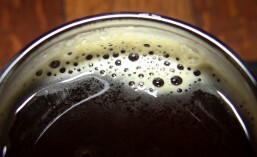 Are you a homebrewer? If you are, it’s never too early to start working on your recipes for next year’s Hop Idol competition. Who knows, next year’s winner could be you. This entry was posted in Ale, Annual, Award Winning, Awards, ballard, Beer, Beer Ingredients, Beer Labels, Best Of, Bottle Shops, Bottling, Branding, Brewing, Brewpub, Collaboration, Contest, Craft Brewery, Distribution, Draft, Events, Homebrewing, Hops, IPA, Judging, Limited Edition, Local, Prizes, Promotion, Recipes, Seattle, Series, Spring, Taproom, Tasting, Washington, Washington Beer, Winter and tagged 2018, Awards, ballard, beer, Competition, Contest, events, Homebrewing, Hop Idol, March, Reuben's Brews, seattle, Washington. Bookmark the permalink.